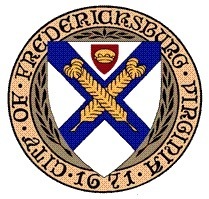 This evening Brian and I attended the monthly meeting of the City if Fredericksburg’s Architectural Review Board. We had a proposal before the board, seeking their approval to replace the entry door and add some signage to Skin+Touch Therapy‘s new location on Caroline Street. Since the building dates to 1839 (although the ARB claimed 1820!) and it sits in the middle of the he historic district, we have had to go through endless layers of both structural and aesthetic approvals for all the renovations we have needed to make. I have to say I was a bit nervous about appearing before there ARB, because after all, aesthetics doesn’t seem like a comfortable area of expertise for a city bureaucracy. But I was really impressed with the meeting. The members of the board all seemed to have a clear architectural vision, and it wasn’t one that was hidebound or historico-pedantic. They quickly approved the proposals that were easy no-brainers, and asked thoughtful questions about the tougher calls. All in all, it made me very glad to be locating in the historic district, despite the extra bureaucracy.